Offers a variable intensity;Provides a uniform finish. 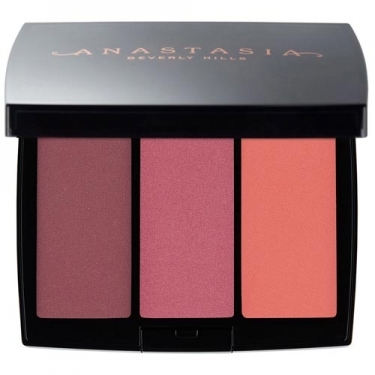 Blush Trio from Anastasia Beverly Hills is a highly pigmented blush for a variable intensity and a uniform finish. Contains three shades of powder blush. This powder is very fine for a light blend. Its formula is highly pigmented, for a variable coverage. For a smooth layer of color, apply with a slight movement;For a more saturated color appearance, apply using a dotted motion;Create your own custom blush tones by blending 2 to 3 tones together.